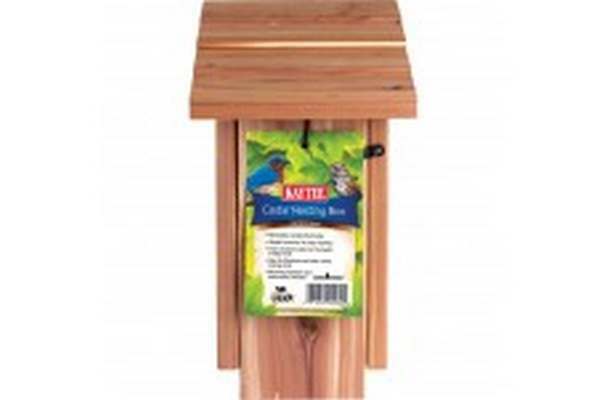 KAYTEE Cedar Nesting Box provides an ideal home for Bluebirds and other cavity nesting birds. 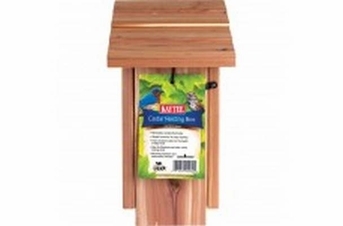 Hinged front door for easy cleaning and made with natural insect-resistant cedar. Includes mounting hardware and instructions.